Salads are quick and easy to make and give you a healthier option for a quick snack or lunch. Why not give one of these great tasting salad recipes a try! 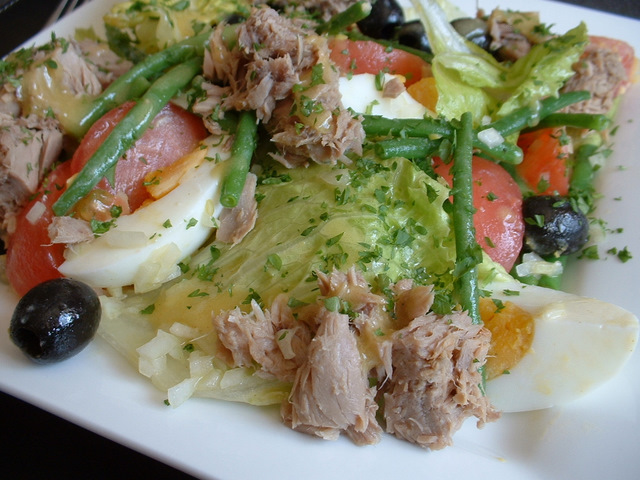 This salad recipe is for a warm chicken salad. This warm salad recipe makes a delicious chicken salad, served with tomatoes, pancetta, olives and cranberry dressing. This salad recipe is for a Waldorf salad. 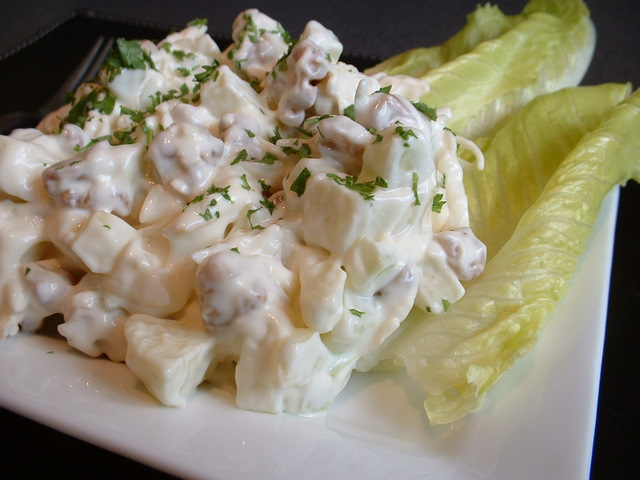 This Waldorf salad is a famous salad and uses apples, celery, walnut, celeriac, mayonnaise, double cream and lemon juice. This salad recipe for tomato salad and is served with shallots and vinaigrette. 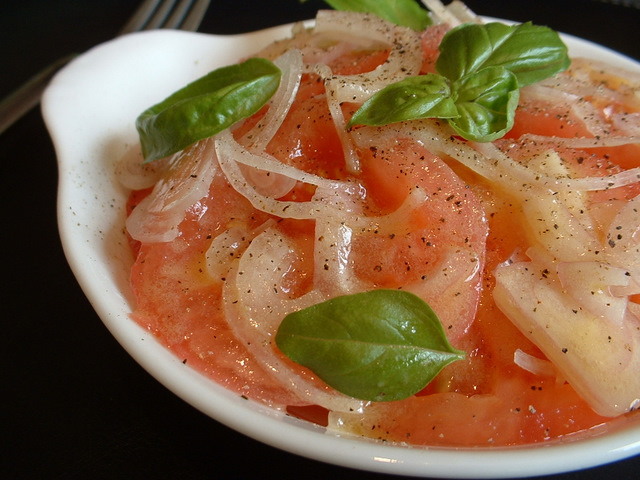 This tomato salad recipe can be served with extra virgin olive oil and makes a great starter. This salad recipe for cous cous salad, often referred to a couscous salad, is quick to make and uses sweet chilli sauce and sultanas. 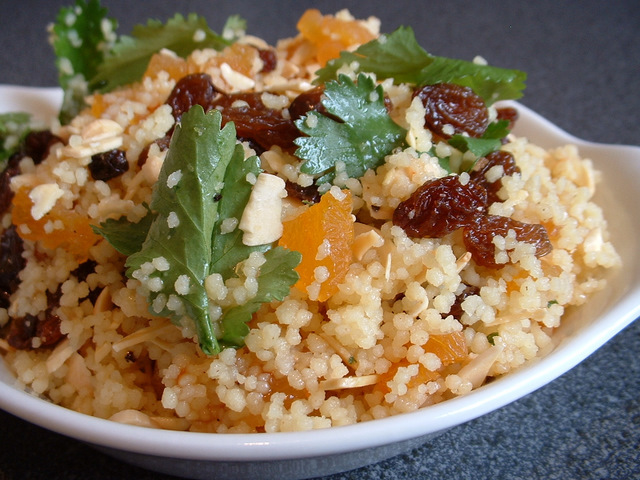 If looking for couscous recipes, this cous cous salad will be ideal. This salad recipe is for a warm mushroom salad, using a range of different mushrooms. This salad recipe for rice salad, served with bamboo shoots, waterchestnuts, spring onions and red chilli. This rice salad makes a great accompaniment to any meal. 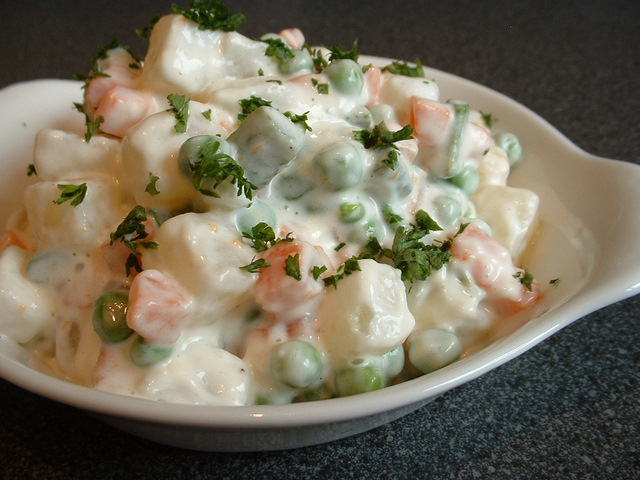 This salad recipe is for a potato salad, served with mayonnaise and chives. 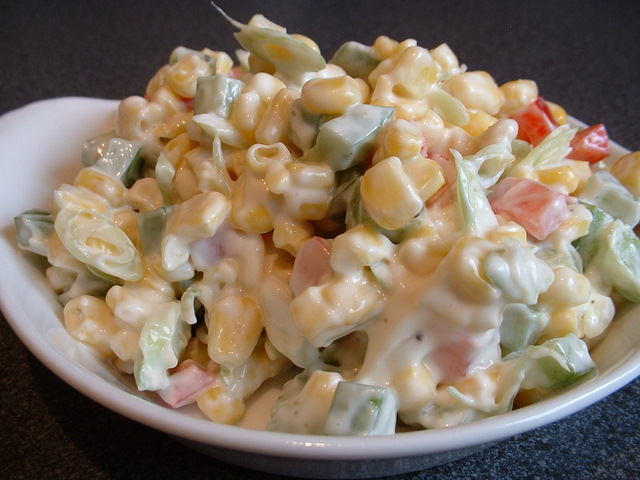 This potato salad recipe is quick to make and is a popular salad dish. This salad recipe is for a pasta salad and uses fried pancetta and pine nuts. This pasta salad recipe is quick to make and tastes great. This goat cheese salad recipe includes walnuts and olives. If looking for recipes for goat cheese, this salad recipe will fit the bill. This salad recipe is for a cucumber salad and uses natural yoghurt. This recipe for cucumber salad is quick and easy to make. This crispy green salad is quick and easy to make. This mixed green salad can use the lettuce of your choice. This recipe for coleslaw, sometimes referred to as cole slaw, is great to make at home. If looking for a coleslaw recipe, this cole slaw will be ideal. This salad recipe is for a celery and walnut salad. This walnut salad recipe is served with chopped parsley and is quick and easy to make. This salad recipe is for a caesar salad. 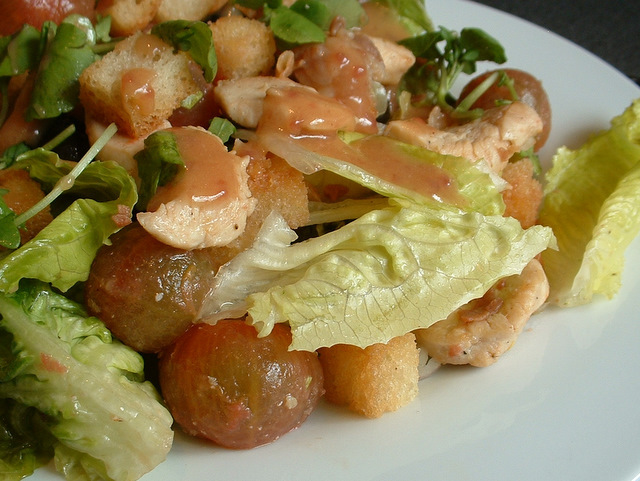 A caesar salad is a favourite salad for many and uses caesar dressing. This salad recipe is for a blue cheese salad. If looking for salads with blue cheese, this recipe includes pear to also give a great pear salad. This salad recipe is for beetroot salad. If looking for recipes for beetroot, this beetroot salad will be ideal. This tomato salad recipe includes basil, rocket and roasted tomatoes.